We are now firmly in that time of year where there are just great deals coming out of the woodwork left and right, and today is no different in that regard. 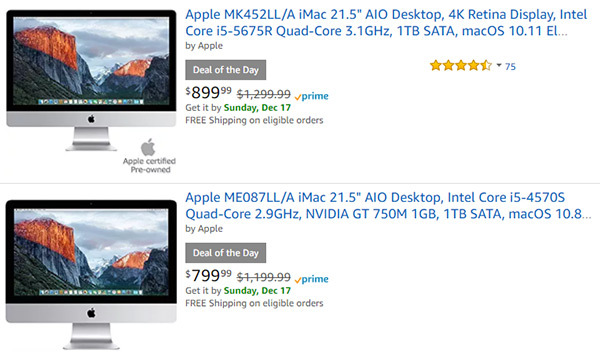 Woot, via Amazon, has today started to offer a pair of certified refurbished iMacs at almost irresistible prices. 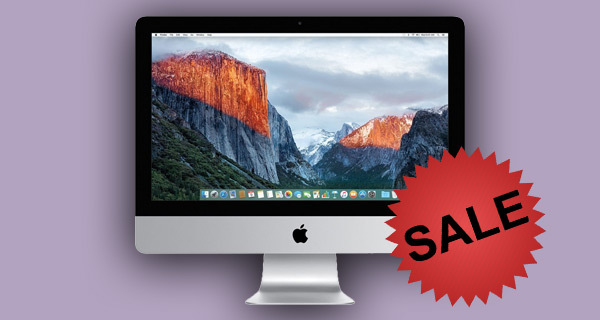 With the arrival of the new iMac Pro, these new deals are great ways of getting in on the iMac bandwagon without having to spend $5,000 to do it. The first of the two models on offer comes in at $799.99 shipped and is a 21.5-inch Core i5 model with a 2.9GHz quad-core CPU and 1TB of storage. That is a decent machine on its own at $799.99 – down from $1,199.99, but we would suggest you go for is its big brother. That big brother isn’t actually any bigger, but with a 21.5-inch 4K Retina display, a 3.1GHz Core i5 quad-core chip and the same 1TB storage configuration this machine is worth the extra cash over the cheaper alternative. It’s not expensive either, and at $899.99 the reduction over the $1,299.99 standard (or $1,500.00 original) asking price is certainly one worth considering. Of course, all the attention right now is on that shiny new iMac Pro and with good reason. With more power under the hood than any other Mac to date, that is one beastly machine. But at a starting price of $4,999 it is not one that many people are going to be rushing out to buy, and at less than a fifth of that both of these offerings are options well worth considering for anyone looking to get themselves a capable, cost effective Mac. Just be quick about it before Woot changes its mind!